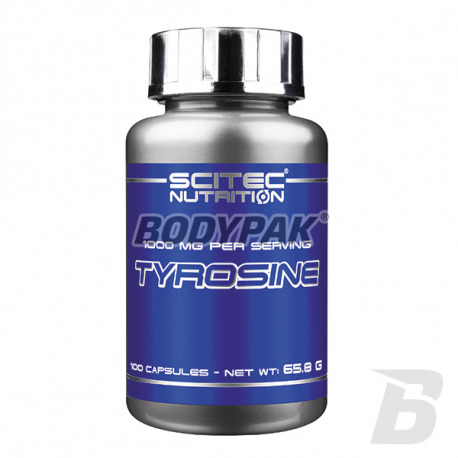 Health & BeautyScitec Tyrosine - 100 kaps. UNS Phosphatidyl Serine 500 (fosfatydyloseryna) - 90 tabl. UNS Guarana - 90 kaps. High quality guarana seed extract (Paulinia cupana), which provides an energy injection that lasts for hours! It supports the nervous system, improves concentration and concentration, adds vitality, and even supports slimming. NOW Foods Alpha GPC 300mg - 60 kaps. 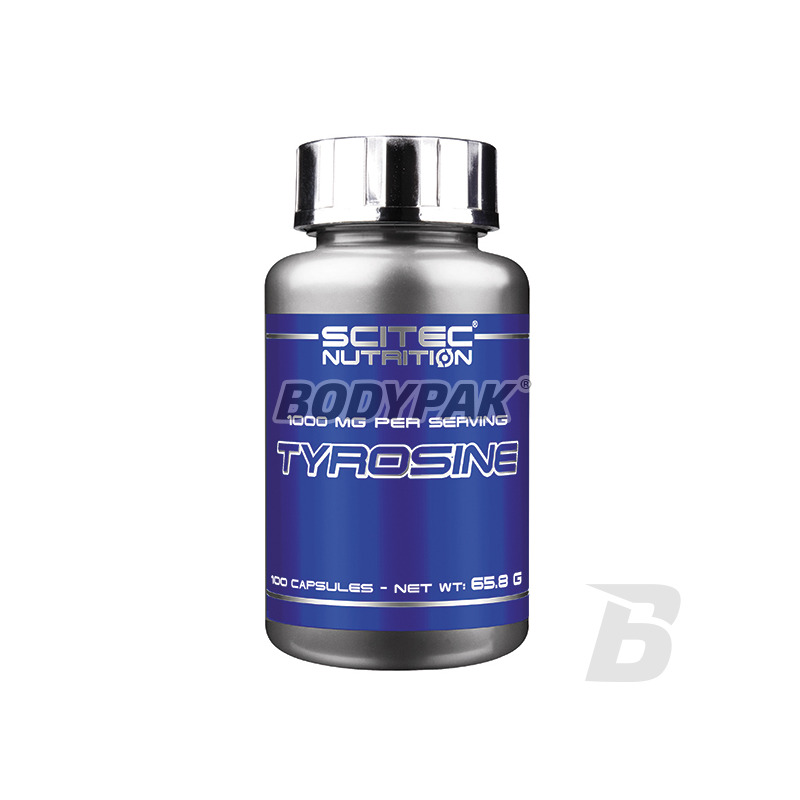 Scitec Tyrosine - 100 kaps. High quality tyrosine in the form of easy to swallow capsules! Each serving is up to 1000mg of pure tyrosine! Strong energizing! 37 loyalty points Your cart will total 37 points that can be converted into a voucher of 1,48 PLN. Scitec Tyrosine is a special amino acid with potent energizing recommended athletes in the phase of intensive training. High levels of tyrosine in the body associated with increased physical and mental strength helps prevent conditions rapid fatigue and exhaustion. Dietary supplement Scitec Tyrosine is also used by the pancreas to produce thyroxine - a hormone, which stimulates protein synthesis, dense growth metabolism, increased growth hormone secretion, to lower cholesterol levels in the blood, regulates the condition of the skin, nails and hair, affects the well-being. Swanson Full Spectrum Cilantro (Coriander) 425mg - 60 kaps. 7Nutrition Berberine HCL Stack - 60 kaps. Nutrafine Rhodiola Rosea - 100 kaps. Professional supplements based on organic turmeric and black pepper capsules. It supports the fight against free radicals due to the antioxidant content, which contributes to the increase of thermogenesis through piperine in pepper. The highest quality at a good price for everyone! NOW Foods Gotu Kola 450mg - 100 kaps. Trec Spirulina - 60 kaps. Curious, a valuable supplement are based on a natural extract of blue-green algae. Natural source of vitamins, minerals and high in protein! NOW Foods Cascara Sagrada 450mg - 250 kaps. Hi Tec Curcumin [Health Line] - 60 kaps.